Address: Janubio, 1, Playa Blanca (Lanzarote), Islas Canarias. Boutique Hotel H10 White Suites - Adults Only is built in a traditional, whitewashed Canarian style, and is set in Lanzarote’s Playa Blanca. It is in a small fishing village in the south of the island. Free Wi-Fi is available throughout. The air-conditioned suites feature a private balcony or terrace. Each one will come with an iPod docking station and an LCD TV with international channels. There is also a minibar, 1 free bottle of water on arrival, and a Nespresso coffee maker with 4 free capsules per day. The private bathroom includes a bathrobe, slippers and hairdryer. The property offers 2 outdoor pools, a fitness and beauty centre and stylish accommodation with views of the pool or garden. The property’s beauty centre offers a range of personalised massages and treatments. There is also a sauna, a hot tub and a sun terrace. The property also offers a daily programme of Pilates, Tai Chi and other activities. Boutique Hotel H10 White Suites - Adults Only’s Galeón Restaurant serves buffet meals with show cooking, which you can enjoy on the terrace. There are also 3 bars, including a poolside bar with Balinese beds and another which offers lunch and an extensive entertainment programme. Diabetic and celiac menus will be available on request. Private parking is available for an extra cost, and 24-hour medical assistance is available on site. 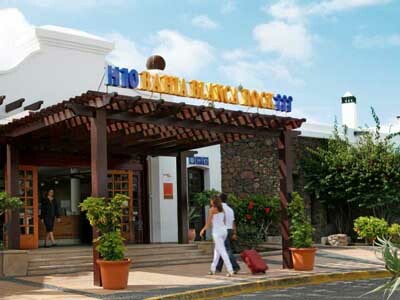 There is a supermarket next to the property, and Arrecife and its airport are around 30 km away. Boutique Hotel H10 White Suites - Adults Only reserves the right to refuse reservations from clients with children. Please note that halfboard rates include breakfast and dinner. Drinks are not included. Pets under 10 kg are allowed upon request and for an extra charge. When booking more than 5 rooms, different policies and additional supplements may apply. Please see the following dress code for the restaurant: - Male guests: closed shoes, long trousers, t-shirts or shirts with sleeves - Female guests: no flip flops or shorts permitted For non-refundable rates, the hotel reserves the right to request, at check-in, both the credit card used to pay in advance and the cardholder’s ID. Please note that when booking a rate where payment is due before arrival, the property will send detailed payment instructions and a link to a secure payment platform.